We only install the best metal roofing on the market. 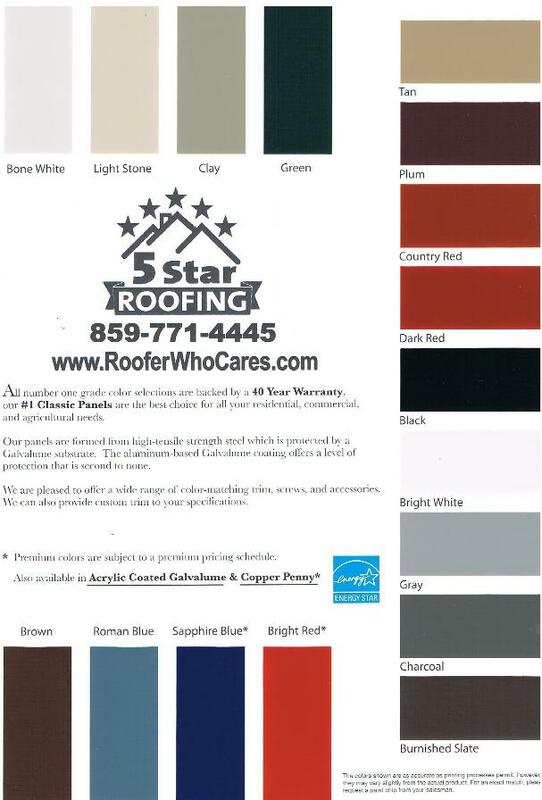 29 Gauge Classic Panel is the best selling metal roofing product in the industry. 29 Gauge Classic Panel is ideal for Residential, Agricultural, and Light Commercial structures. Our color selection is backed by a #1 - 40 Year Limited Paint Warranty from Akzo Nobel Paint. Akzo Nobel has the best paint in the industry for metal roofing. 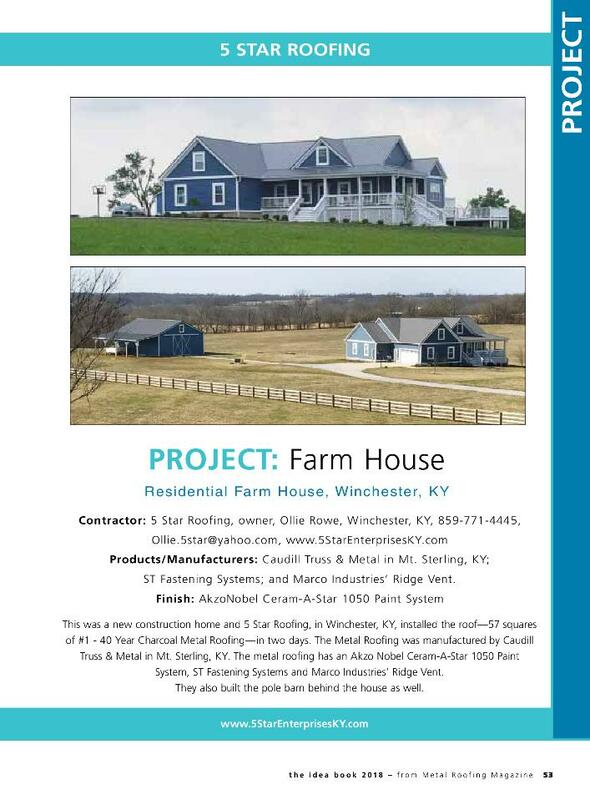 We are proud to announce that we have been selected and featured in a national magazine - "The Metal Roofing Magazine" specifically their special annual addition - "The Idea Book - 2018"
Q. What is the advantage of metal roofing? A. Metal roofs are attractive, light weight, energy efficient and nearly maintenance free, and are available with a 40 Year Limited Paint Warranty. Q. Is a metal roof safe from fire? A. A steel roof is the most fire safe roof. It is classified as a noncombustible roofing material with a Class "A" rating - the highest rating given. Several insurance agencies offer price reductions because metal roofing is non flammable. Q. How does the weight of a metal roof compare to other types of roofing? A. To many people's surprise, metal roofs are significantly lighter than other types of roofs. Typically they weigh less than one-half the weight of asphalt / fiberglass shingles; and are as much as 75% lighter than clay, concrete or slate. Q. Is metal roofing susceptible to lightning? A. Steel Roofing is no more susceptible to lightning than any other roofing material. Lightning most frequently strikes the highest point in any terrain; and if your roof is at the highest point of the surrounding terrain, you should install lightning rods regardless of your roof type. Q. If I'm re-roofing, do I have to remove the old roof before installing the metal roof? A. Usually not - if you're installing the metal roof over existing asphalt, fiberglass or composition shingles (maximum of two layers thick). In most situations, the metal roof can be installed directly over the old roof. It is critical to install a barrier between the old roof and the new steel roof. 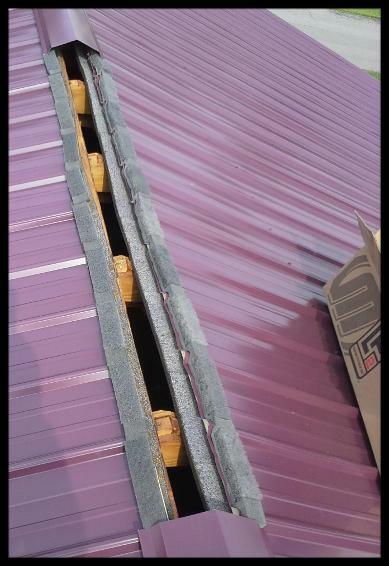 We recommend and install 1x4 furring strips over the existing shingles so that the metal roofing screws have something solid to sink into. Q. Does a Metal Roof qualify for an Energy Star Tax Deduction? A. Unfortunately, the Energy Star Program has been cancelled by the government for metal roofing, effective immediately, for Metal Roofing in 2014. Q. 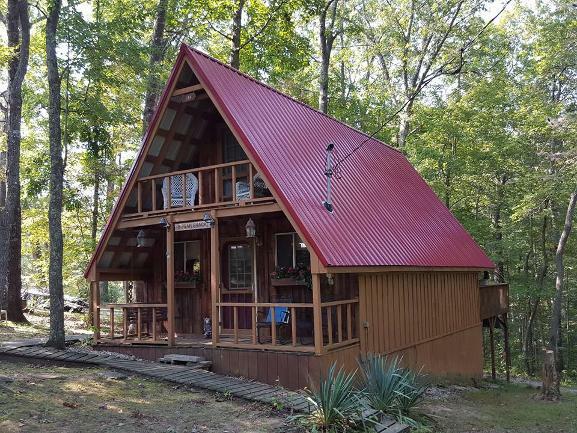 Will a metal roof make my house hot? A. 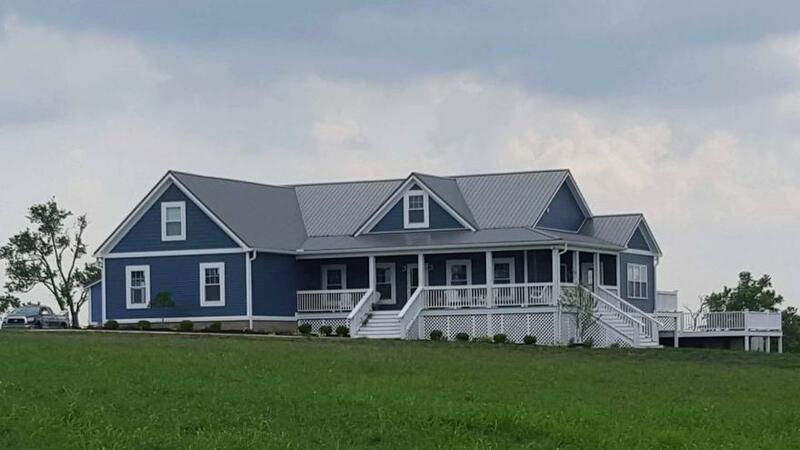 Actually, a metal roof can save you money on your air conditioner costs because it has a higher heat reflectivity than other roofing products like asphalt / fiberglass shingles, wood, tile, etc. During the summer it makes buildings cooler by efficiently reflecting away sunlight and reducing the amount of heat transmitted into the building. Likewise, it makes buildings warmer in the winter by reflecting inside heat from the underside of the roof back into the building. This good thermal reflectivity translates into energy savings by reducing cooling costs in the summer and heating costs in the winter. Q. How well will my metal roof resist wind damage? A. 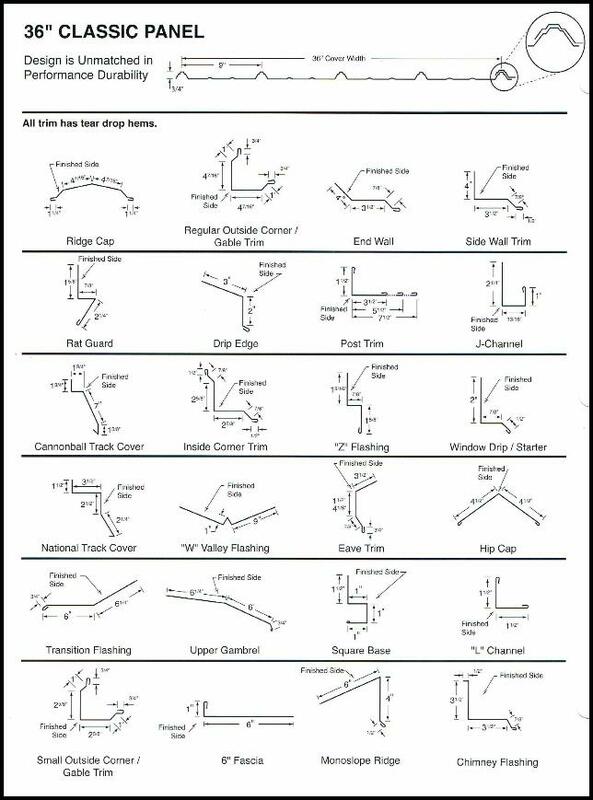 All metal roofing products are very wind resistant. Many styles have been tested to withstand hurricane force winds at nearly 120 mph.